Roland M. Slover grew up in Daphne, Alabama and graduated from Fairhope High School in 1980 . . . It is very common for people to get in over their head with credit card debt while shifting balances. . .
A Chapter 13 Bankruptcy is an option for Debtors provided they have income or wages sufficient. . .
Roland M. Slover grew up in Daphne, Alabama and graduated from Fairhope High School in 1980. He graduated from Mississippi State University in 1984 and obtained his law degree from the University of Alabama School of Law in 1988. While in law school, Mr. Slover served as student works editor, Alabama Law Review; President, Bench & Bar Legal Honor Society and was a Hugo L. Black Scholar. After law school, Mr. Slover practiced law in Jackson, Mississippi for approximately twenty three years with two defense firms; Watkins Ludlam & Stennis, P.A. and Forman Perry Watkins Krutz & Tardy, LLP. 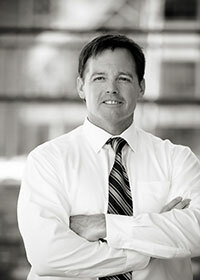 During this time, Mr. Slover was engaged in a broad based commercial litigation and mass tort defense practice – defending companies and individuals in lawsuits involving, among other things, personal injury, product liability, mass tort (asbestos, silica, lead paint and benzene), synthetic stucco (EIFS), antitrust and trade regulation, consumer warranty litigation, lender liability/ consumer finance litigation and OSHA violations.